UFO SIGHTINGS DAILY: 102 Year-Old Woman Speaks About Her UFO - Flying Saucer Sightings in Australia, UFO Sighting News. 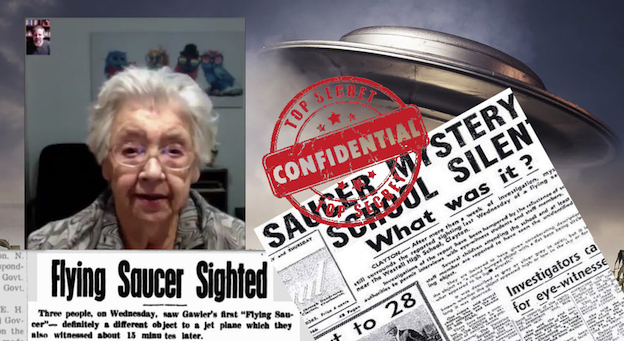 102 Year-Old Woman Speaks About Her UFO - Flying Saucer Sightings in Australia, UFO Sighting News. This woman wants to tell us about some of her UFO sightings she has had thought out her lifetime. She is 102 and probably had dozens of sightings over those years. I myself have over a dozen different sightings, but mind you...I was looking for them. People will see a lot less if they don't bother looking up. I find them because I put the effort into it. Its like teaching for research in the library, if you don't put the time in to find it, you never will.